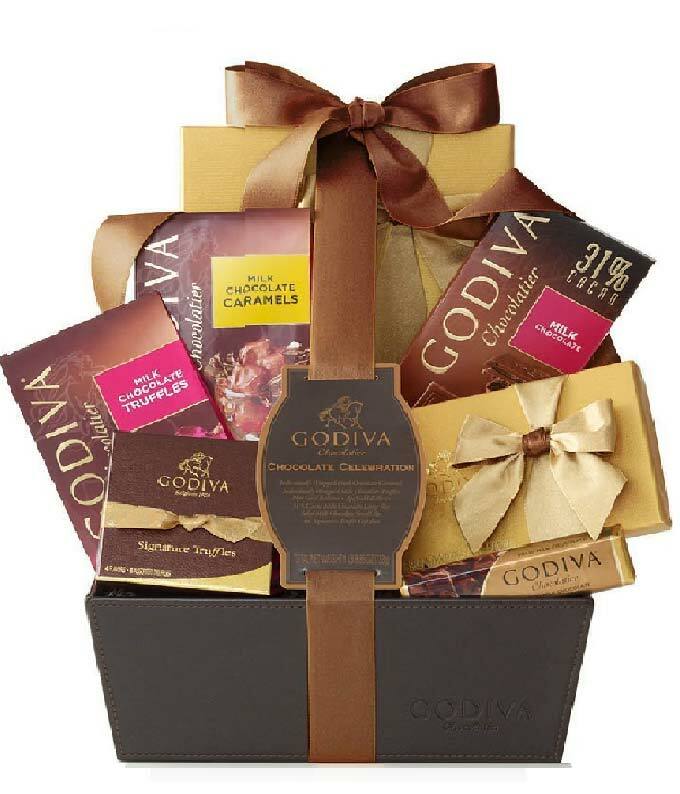 The name of this delicious chocolate gift basket speaks for itself! Share and enjoy a wide array of Godiva Chocolates this Valentine's Day. Available for next day delivery. Place gift orders online prior to 12PM EST for guaranteed overnight delivery or select a future delivery date. Cutoff delivery times may change during the holidays.